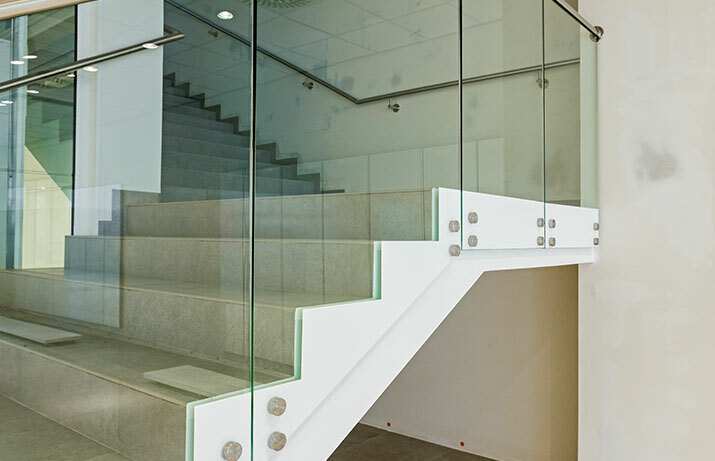 Glass railings are more and more common on all types of buildings as designers, building operators and owners come to understand their incredible durability and the flexibility of design available to them. The glass can be combined with stainless steel top or bottom rails, posts, wood caps or handrails, powder coated elements and much more. We supply and install interior as well as exterior systems in a variety of applications. 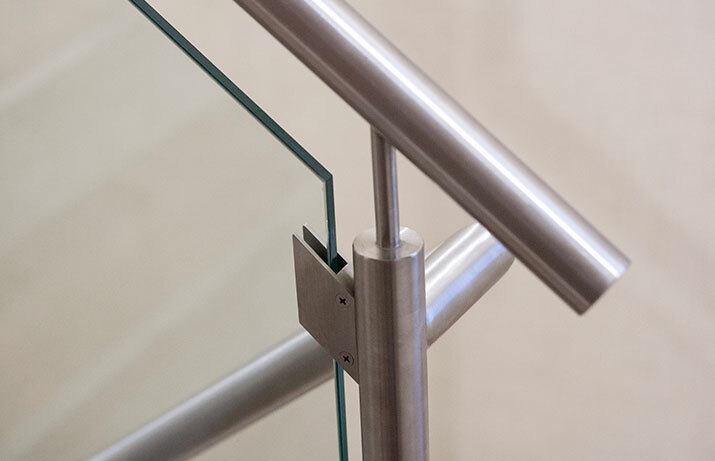 Base shoe style railings are the anchoring method of choice when the glass is to be the star of the balustrade system. There are a few major suppliers of engineered base shoes that come in a variety of finishes. The glass can be installed into the shoe in a couple of different ways. Its a clean modern look offering the most transparent of railing/balustrade systems. Glazed railing systems often incorporate stainless steal posts and/or handrails, top rails, bottom rails or caps to cover the edges of the glass. Bmg can engineer the steel requirements and incorporate the steel fabrication and installation into our scope of work or we can template and provide only the glass if you already have a preferred metal fabricator. 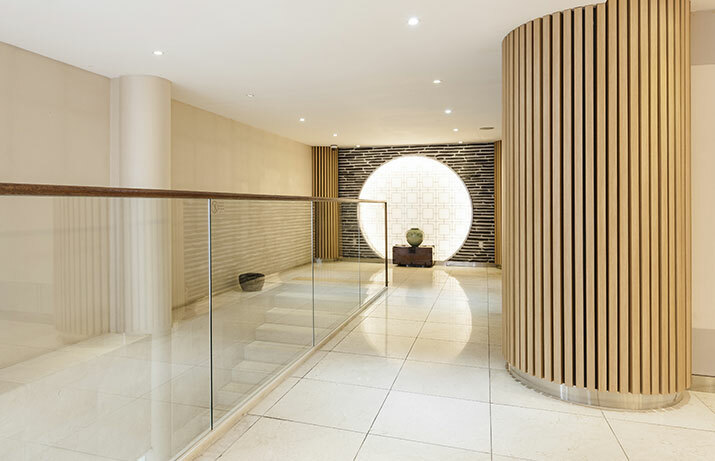 The codes are specific when it comes to the glass selection depending on the style and location of the railings so its critical to use experienced designers and installers when it comes to glazed railing systems. Glass railing systems that hang off the side of a structure are often supported using stainless steel standoffs. They come in a variety of shapes and sizes and are engineered for certain loads depending on the size of glass, the required loads, and the substrate they are attaching to.